As a diversity expert with more than 22 years of experience, Lorie Valle-Yanez was brought onboard to MassMutual Financial Group to implement an internal diversity and inclusion strategy. 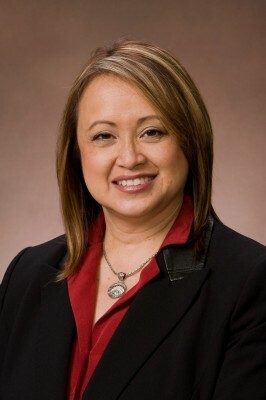 Drawing from her background, which includes growing up in a multicultural family in Hawaii, Valle-Yanez launched a diversity and inclusion strategy—complete with a thriving mentoring program now in its pilot phase—that is earning accolades from employees and executives alike. You were hired at MassMutual to develop an enterprise-wide diversity and inclusion strategy. What inspired you to pursue this position? MassMutual’s journey into diversity and inclusion started in 2007 when our marketing area began to focus on multicultural efforts. I came onboard in 2008 to work collaboratively with our business leaders to create a strategy—a business case for diversity and inclusion so that all aspects of our efforts could be aligned under one umbrella. Please describe your strategy to promote diversity. If you think about our strategy holistically, the early stages of our efforts were focused on building a foundation throughout the organization, particularly with our leadership. Now we’re in the stage of gaining alignment and building momentum. Our business case focuses on five key areas. We make sure that we understand, reach, and serve the customer to the best of our ability. We also take an inclusive look at underserved markets—including less-recognized ones like Jewish, Polish, and Gay and Lesbian—and tap into them. Focused on increasing our employee and agency engagement, we create an inclusive culture where people who have the right skill sets are able to contribute to our mission and reach their full potential. MassMutual promotes innovation and creativity to leverage diversity. First, we bring people into our sales force and workforce from all different backgrounds. Then, we leverage their differences to a competitive advantage. Improving our ability to attract and retain talent becomes easier as we develop that reputation. How does MassMutual’s leadership drive its strategy? We have a diversity leadership council chaired by our CEO, Roger Crandall. The council is comprised of members of MassMutual’s executive team, who ensure that we make meaningful progress on each of our strategy’s components. What are the key pillars of your strategy? The key pillars of our strategy are marketplace, sales force, workforce, and workplace. Our marketplace pillar looks at our changing customers and the community demographics and forms strategic relationships, nationally, and locally. Our sales force pillar is part of a localized diversity strategy. We have a sales team located in around 85 agencies across the country. If you’re based in Salt Lake City, Utah, it’s a completely different strategy and opportunity than if you’re in San Antonio, Texas. Our workforce strategy focuses on the makeup of our employees in our corporate offices. Inclusion is so important to making sure employees are engaged and stay engaged. Our employee resource group is making the biggest impact, particularly from an engagement perspective. Please describe your company’s new mentoring program. In June 2011, we started our pilot phase of our open mentoring program. Employees have the ability to log on to a program that matches them with a mentor who gives career advice. The open mentoring program intentionally pairs people across departments. We encourage cross-cultural, cross-gender matches. It’s a great program, which is part of a larger career strategy. Earlier in 2011, we launched our career resource center—where employees can access data regarding career assessments—and this is just another piece of the pie. How does your diversity strategy influence the Hispanic community? We have an overarching diversity strategy, but we certainly put emphasis on the Hispanic community. In the field, we give scholarships to Hispanic students, and we provide free life insurance to families that meet specific criteria to ensure that children receive a college education should something happen to their parents. What is most rewarding about your current role? In 2011, our employee survey showed that diversity and inclusion were rated as most improved. Our CEO recently said that he’s most proud of our accomplishments, and our executives across the board are talking about it. It’s clearly important to the future of this company. We’re starting to see change and progress, which is rewarding and inspiring to me.